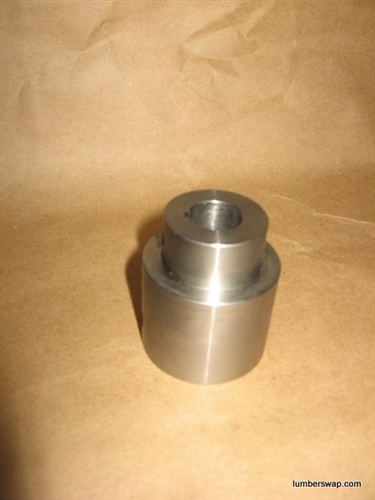 This shaft reducer coupler was designed specifically for the Olympic or GBI Style Flowcoat Prefinish machines. One end has a 5/8" diameter and is keyed (broached) for woodruff key to fit on an electric motor. The other end has an inside diameter of 1 inch and features a thru bolt hole to Quick Connect Stub shaft assembly. Bolts, Clamps, stub shaft NOT INCLUDED. Includes Coupler and Woodruff Key only.